Jacob Brooks, 4-years old, was killed by a pack of family dogs in his backyard. 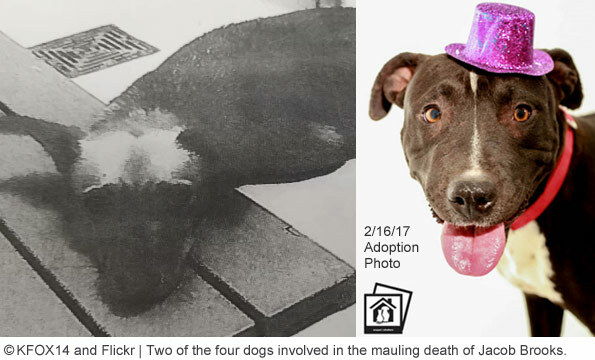 UPDATE 09/30/17: The parents of a little boy mauled to death by dogs have been arrested. On July 27, 4-year old Jacob Brooks was killed by a pack of family dogs running loose in a backyard after his mother left him unattended in an enclosed trampoline. By the time first responders arrived, Jacob was already dead. A neighbor who witnessed part of the attack said the dogs "practically ate him." The dogs were known in the neighborhood for being loose and aggressive. 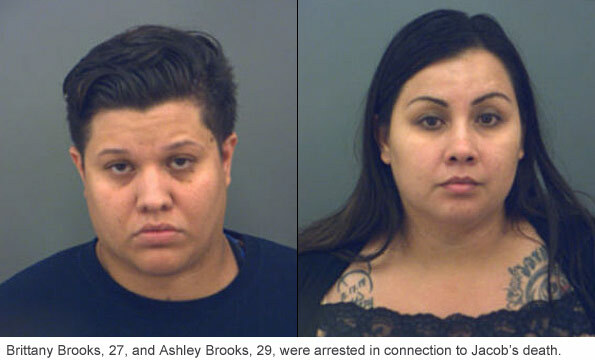 After an investigation by Crimes Against Persons, Brittany Brooks, 27, and Ashley Brooks, 29 were arrested at a relative's home Friday night. Both were charged with felony injury to a child and booked into the El Paso County Jail under a $75,000 bond.2 At the time of the attack, Jacob lived with his two siblings in the household. His siblings were later placed with relatives. Child Protection Services had investigated the couple in the past, but the outcome of that inquiry is not known. Animal control officials said three German shepherd-mixes and one pit bull were euthanized the same day they killed a 4-year old boy. On Thursday, Jacob Brooks' mother left him alone in an enclosed trampoline in the backyard, where four family dogs roamed. A teenager heard the boy's mother panic, saying her son had gotten away. 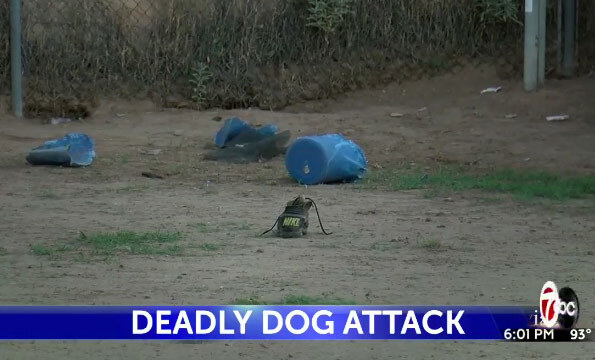 The teenager jumped into her backyard to check there first and was confronted by the dogs and the boy's brutal mauling. Jacob was already dead. Neighbors said the family had up to 10 dogs -- German shepherds and pit bulls -- of varying sizes. Officials seized six dogs from the home; two smaller dogs were inside during the attack. Neighbors said the outdoor dogs were aggressive and had escaped the family's property before. Back in April, his mother (or her partner) posted to a public Facebook group that she had just found a male pit bull. 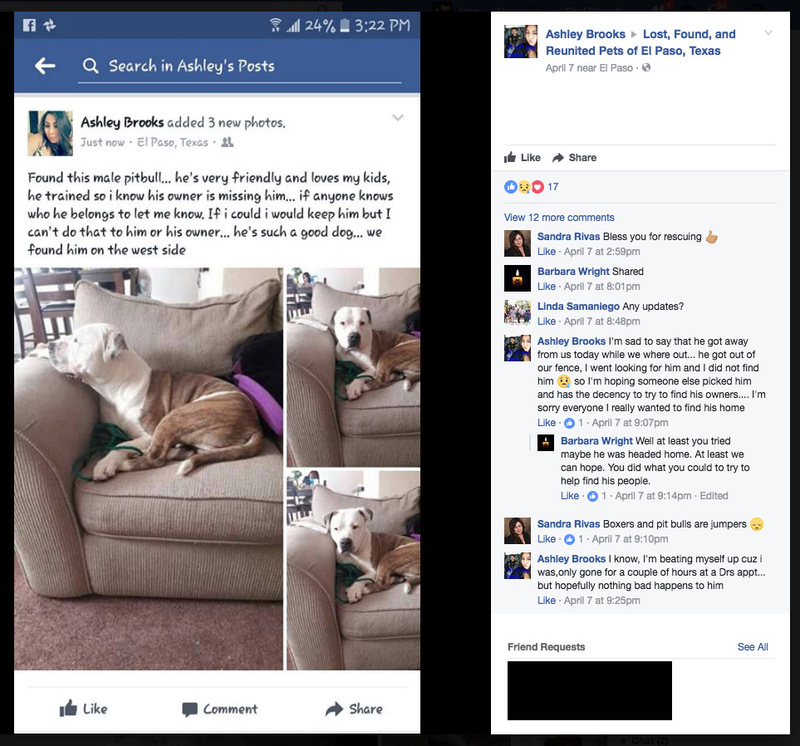 Hours later, she admits the pit bull escaped her property -- she lost an already lost dog. (Initial post) "Found this male pit bull... he's very friendly and loves my kids, he trained so I know his owner is missing him." (Later in the comment thread) "I'm sad to say that he got away from us today while we were out... he got out of our fence, I went out looking for him and did not find him ... I'm sorry everyone I really wanted to find his home." Neighbors told the El Paso Times the scene of the fatal mauling was chaotic. "The ambulance came, and when we saw the people who live there come out of the house crying, I imagined right away (what might have happened)," Ramon Payan said, who lives across the street from the boy's home. "They have a lot of dogs, and aggressive dogs -- pit bulls and German shepherds, big and small, about 10 dogs --- and young children," Payan said. The dogs "practically ate him," he said. Payan said he believes two women and three children live at the home, including a baby. Payan described the women as screaming and throwing themselves on ground, but the boy was already dead. "Even when they were taken in the police car, they were still screaming and screaming," Payan said. It sounds like these women were "collecting" dogs and some were younger offspring. A pack of unsterilized aggressive dogs alone with a 4-year old, what could possibly go wrong? While these women are extremely traumatized, it certainly is a case worth prosecuting against the child's mother. At least one neighbor had warned her about the pack's aggression and how they often escaped her backyard. The dogs were a known problem in both areas -- being loose and aggressive. 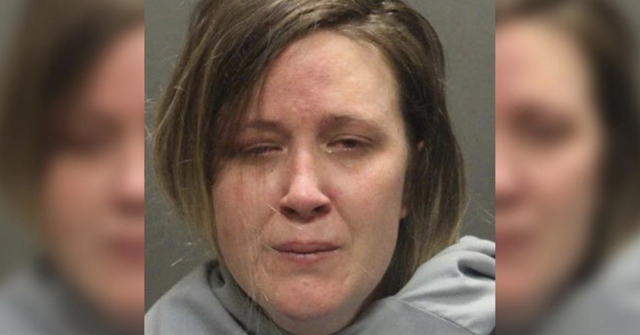 Then she abandoned her 4-year old son, Jacob Brooks, in an "enclosed trampoline" in the backyard where the aggressive pack roamed. That is neglect in Texas, just to get started. El Paso, TX - A little boy was mauled to death by a pack of dogs Thursday evening. 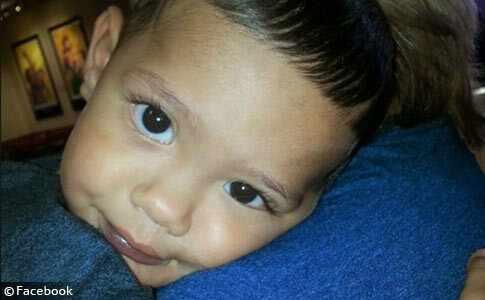 El Paso police identified the child as Jacob Brooks. 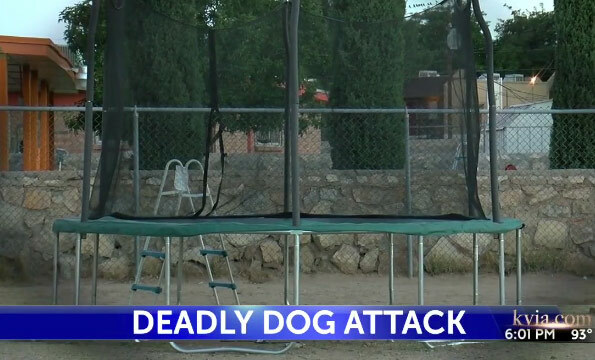 "The child had been left by his mother in an enclosed trampoline in the backyard where there were four dogs," police stated in a news release. The deadly attack happened in the 9100 block of Morelia. The boy was discovered dead at the scene. Investigators said the four dogs belong to the homeowner and the child lived at the residence. 15-year old Sebastian Hernandez, a neighbor, witnessed the attack through his kitchen window. Sebastian said his 13-year old brother, Albert, managed to pry one of the dogs off the boy, but then had to defend himself against the dogs. "Those dogs were really crazy, they were always biting on each other," he said. Sebastian's grandmother said she knew the family. 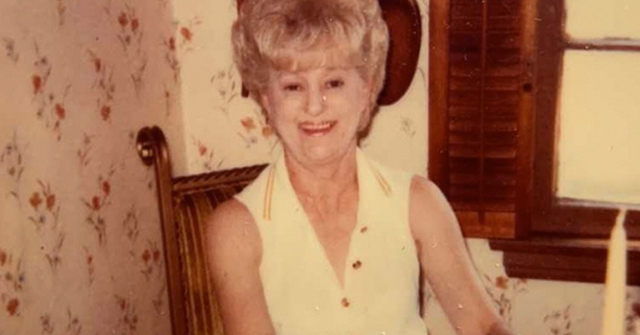 She had warned the family in the past about the dogs' aggression and how they often escaped their backyard. Animal control seized all four dogs -- the breeds were not identified. 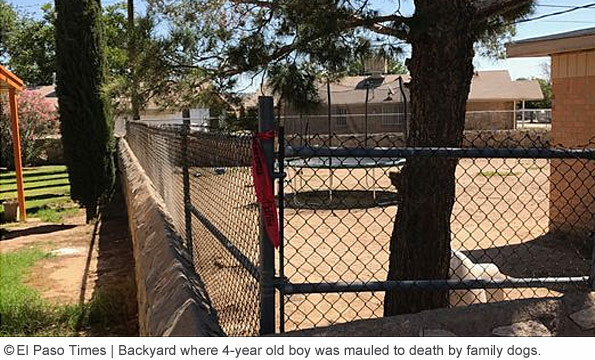 The El Paso Times captured a photograph of the "enclosed trampoline" in the backyard of the home where the dogs were kept. According to a report by KFox14, it seems the boy was able to get out of the enclosure. Albert was playing basketball nearby when he heard a woman crying and saying her son had gotten away. He decided to check the backyard first, which is when he encountered the dogs and found her son. NBC4i confirmed they were all family dogs. A neighbor who did not want to be identified said this is traumatic for the whole neighborhood. We see the children playing outside everyday, he said. "How are you going to come back and [now you] won't be seeing the little boy ever again?" The soft-spoken man is especially concerned for the teenager who tried the save the child from the dogs. "I think it’s going to be real hard for him," the man said, "I think he saw his [the boy’s] face." 1It's unknown where the three German shepherd-mixes came from. However, these two women were dog "collectors," so the sources are unlimited. 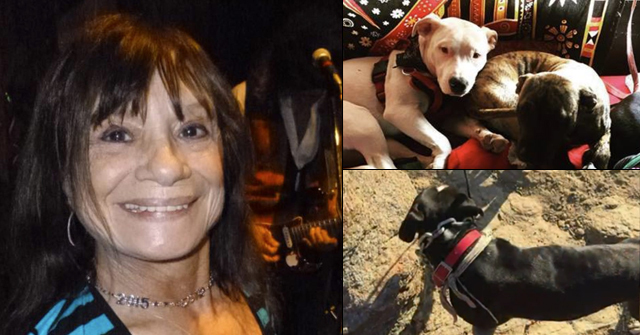 At the time of the attack, they had six dogs in their household. 2There are conflicting reports of bail with media outlets reporting $75,000 and also $7,500. The ambulance came, and when we saw the people who live there come out of the house crying, I imagined right way (what might have happened) … They have a lot of dogs, and aggressive dogs — Pit Bulls and German Shepherds, big and small, about 10 dogs — and young children," Ramon Payan, who lives across the street from the home, said Friday. Are trampolines on the list of thing that provoke pit bulls yet? Shame one of the neighbors didn't shoot the dogs last time they escaped. TEN DOGS and the city let these people get away with this, even though they were terrorizing the neighborhood. Ir's like there is no government or law enforcement anymore!!! Even a manicurist or restaurant needs to get licenses, city approval, inspections,to operate. But people can run a violent dog kennel, breeding even more of them when the city pounds are stuffed, which is a health risk to so many, in so many ways, and the city officials just ignore it? People need to start hammering on these city and town governments , because hey are not doing their jobs and literally getting away with murder. How sad, stupid and preventable that another child is dead because people blindly choose to own vicious dogs. And TEN? NO ONE should be permitted to own ten dogs because no one can control ten dogs. Sorry your Mom cared more about dogs than you little one, RIP. And there need to be limit laws. Over a certain number, and people need to apply for zoning and kennel permits, with inspections and some ground rules to prevent trouble. Dereliction of duty at the parental and governmental level. That's what this is. This Yahoo article has a picture of 5 dogs being walked on leashes by one person. They look to mostly be poodle type dogs. I'm assuming it's just a file picture of some dogs they stuck with the article, but it sure is misleading. I really don't think poodles killed this poor kid. If these aren't the attacking dogs then I think this news outlet has even fewer scruples than I thought. Good, reliable journalism sure has been flushed down the toilet. Sorry, 6 dogs. One looks like a heeler cross. Oh my goodness Farmer Jane — yes, that is a very bad file photo! See the chewed up blue things in the last pic? Those are plastic drums used to ship chemicals and other liquids. We use them for rain barrels. They are sturdy. It takes a reciprocating saw to cut the tops off of them. Their dogs were at least as destructive as power tools. After seeing what that drum looks like I hate to imagine what that pack did to that kid. I am sure there will be no charges because how is a parent supposed to know a pack of 10 pit bulls and German Shepherds could possibly injure a kid? As long as the pack had not killed some other kid before I am sure this will be considered an "unforeseen tragedy" and a "freak accident". Has the Go Fund Me been started to get lawyers for the dogs? You know they will try to pull the old "since we don't know wich dog did it it would not be fair to put any of them to sleep" bit. No one should ever own 10 freaking dogs, let alone vicious breeds with kids. This was 100% preventable. It's so sad that people don't value their children's lives nowadays. Enough. Just enough already. Time to fight back. No mercy. You can fight back in a very simple way: With money. If you're donating to any of the so-called humane groups, stop. 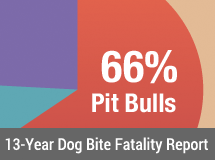 That's where a lot of the pushing of pit bulls is coming from. Cut off the money, and they'll change their tune. YQN: I dumped the ASPCA years ago when I realized they were pit pushers. No money for the HSUS or United Way either. My local shelter are pit pushers, they don't get my support either. Another one for your do-gooders gone wrong list: Best Friends. They are heavily involved in pit bull pushing. Stop donating to them. Wait, what? I just saw the information about the mother finding the lost pit bull that then escaped her fence within a couple hours. And she let this roaming potentially-dangerous dog interact with her kids. Free adoption at AS , without screening the adopting family, just so they can get their little gold medal as to how many lives they saved . Animals go back to AS neglected and abused. No one should ever being allowed of adopting an animal without some type of prior screening. What's Animal Control doing about this ? I am highly against free adoptions! Animal Services often offers free adoptions events . Public can adopt as many animals without any type of screening. Animal often get in the hands of irresponsible owners that abuse and neglect them. We can't blame it on the breed , as these were a variety of breeds. 10 dogs to a family it's too much . Few of this animals were adopted from AS and HS, so there was an history of how many animals this family owned. The child was also neglected. Makes me wonder if he was already dead and this starving dogs just started feeding off him. It's horrible, I am completely against free adoptions and there's should be a set limit of how many animals a family can have. AC should also visit a potential adopter home to assure animal go to a good home . I am against euthanasia, but these animals when to the wrong home , were neglected and ended up getting euthanized anyway and they took a poor innocent child live with them . The City needs to implement better laws!! !